In medieval times, dragons were seen as hulking-great beasts that would breathe fire and bring about destruction wherever they saw fit. Some say that their movements was almost dance-like. Well developer Casino Technology took that idea and have ran with it. 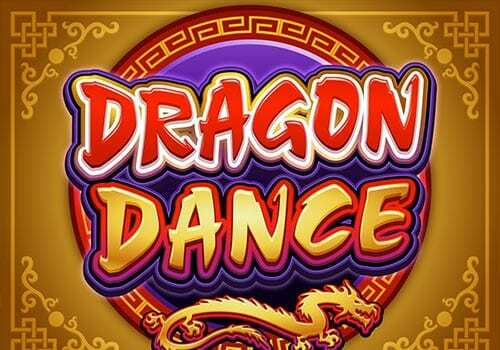 Introducing: Dancing Dragons, an online slot experience like no other. To be in the presence of such a beast is considered an achievement within itself. So imagine your surprise if you managed to tame one enough to dance with one. Expect, wilds, scatters and free spins of the like in this opportunity to walk with some of natures most popular wonders. Known for their own take on the online slot and online casino game market, Casino Technology make it their mission to make new strides everyday in every digital entertainment avenue they see fit. Casino Technology offers a wide range of titles for every mood, from online table games to online slots, a wide selection for a wide type of audience. 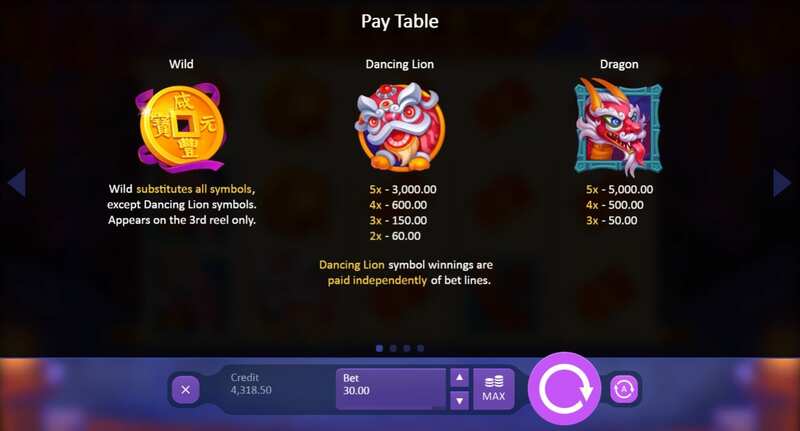 Dancing Dragons is a 5 reel online slot that features 10 pay-lines, each offering a different experience with every singular spin of the reels. The maximum pay-out available from a total of 5 pay-lines is up to 3,000-coins which is a rather pretty penny indeed. The pay-lines are different in this slot than you might expect. Matching combinations can appear in a variety of different shapes, ranging from a plethora of different directions, from straight, to horizontal, to a V shape for example. There is a lot of options here to win big, you need only seize it. 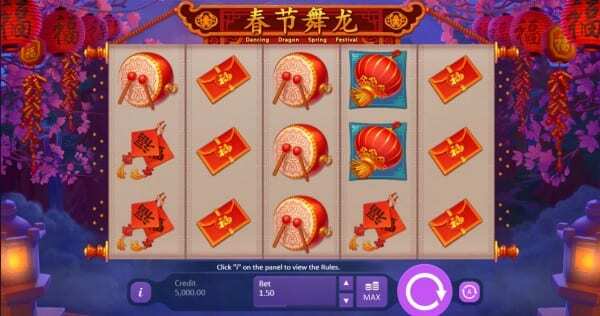 As you’d expect by this slots title, most, if not all symbols in this slot take the shape of dragons or dragon related culture. The more elaborate the dragon the more likely it is that the symbol in question is a high scoring one. It goes without saying but the more you put down on your starting stake, the higher your pay-outs will be depending on how many of these symbols are implemented within the winning pay-line. If you look on the opposite side of the start button, you will find a double down button. This essentially allows players to potentially multiply their winnings. In other words, this is a gamble feature that allows players to try and win big at the behest of their own desire. There is also an auto-play mode for players who seek to continue the fun while off-screen. This can be stopped/started at anytime making it very useful if you are the busy type.